For some years now, Geert van Tijn gives public singing lessons in the Amsterdam 'Vondelpark'. Spontaneously and unprepared, hundreds of people who have never met before suddenly sing better and lesser known part-songs there. The success that Van Tijn - in daily life a secondary school music teacher - had with his outdoor lessons led to a remarkable challenge. 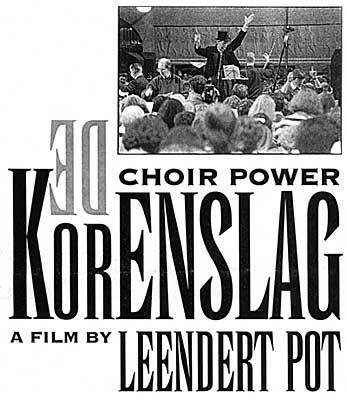 The plan arose to make an attempt to break the world record choral singing, in the Amsterdam Olympic Stadium in May 1992: 80,000 singers would be mobilized for 'De Korenslag'. Composer Theo Loevendie specially wrote 'De Korenslagvaardigheidscantate', arranged for several voices, which Van Tijn practised all over Holland. A special organization was set up for theevent. Television was called in to promote and later broadcast it live. Filmmaker Leendert Pot followed the preparations for 'De Korenslag', wondering if they would make It. 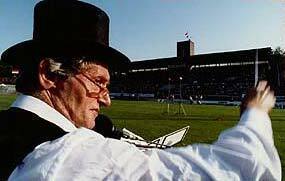 He encountered the classic conflict between artist and organizers, and eventually followed Van Tijn to the 'De Goffert' stadium in Nijmegen, where 'De Korenslag' was yet performed on a modest scale. Choir power is a film about the joy of singing and about a dreamer who wanted to turn a seemingly absurd idea into reality.